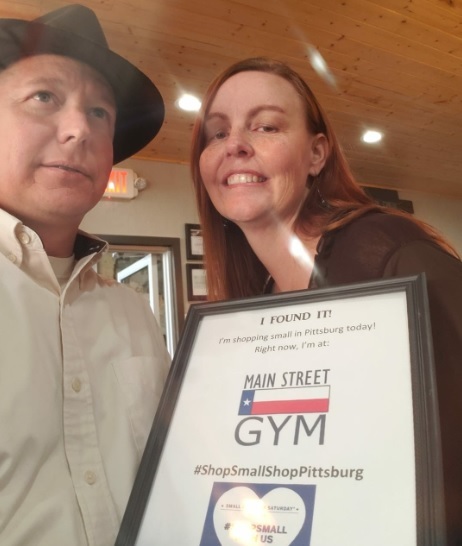 We are thrilled to announce that Tim and Stacy Hall won the Shop Small Shop Pittsburg Selfie Contest. 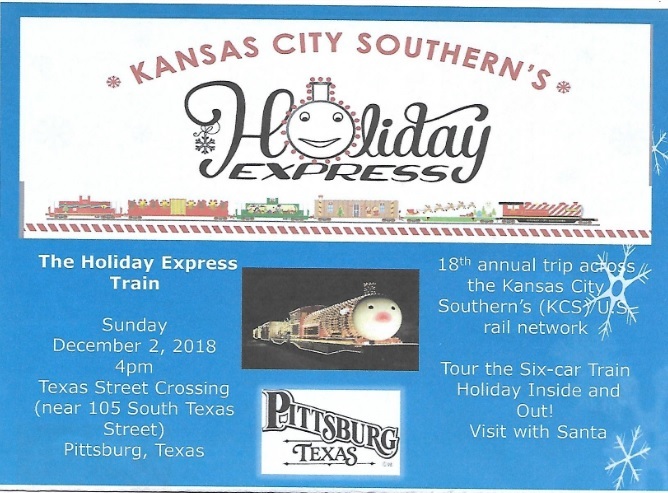 They won an “I shopped Pittsburg” gift bag filled with gift certificates and donated items from participating merchants valued at over $400! Tim and Stacy were at the Main Street Gym when they snapped this selfie. Congratulations Tim & Stacy! 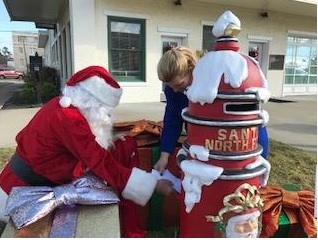 Santa Claus invites all children to drop off their Christmas wish list letters at the private North Pole mailbox set up on the corner of Jefferson and Tapp Street. All messages with a return address will receive a letter back from the North Pole! Today, 150 Pittsburg Elementary School 2nd graders marched across the street to drop off their messages. 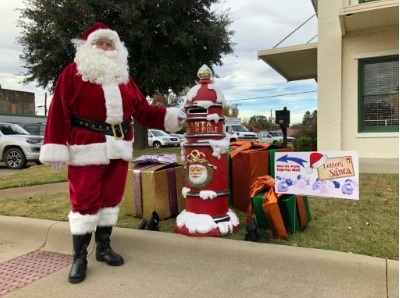 Santa and his helper, Niecy Baum (Main Street Director), collected the letters so that they could be sent directly to the North Pole. 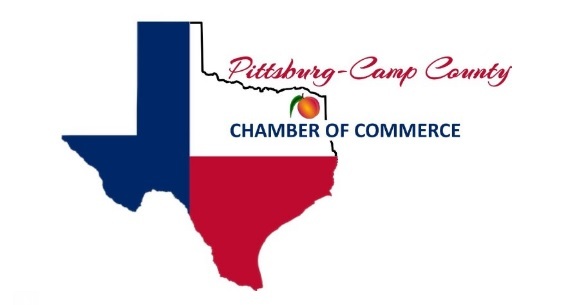 Reminder – If you have an event you would like included in the Chamber’s weekly e-newsletter, please send your info to info@pittsburgcampcountychamber.com. TONIGHT the Pittsburg Kiwanis Club will be hosting a Pancake Supper at the Cafetorium on Fulton Street from 5:00 – 7:00 p.m. For $8 you will enjoy pancakes, sausage, and a drink. The Whatley Center for the Performing Arts at Northeast Texas Community College will present Riders in the Sky with the Quebec Sisters in concert Thursday, Dec. 6 at 7:30 p.m. 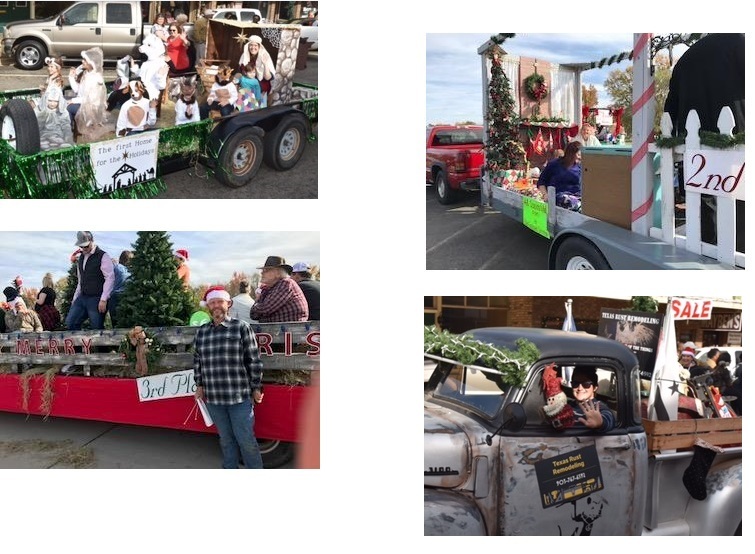 The holiday-themed show will feature two of the hottest Western music acts today. 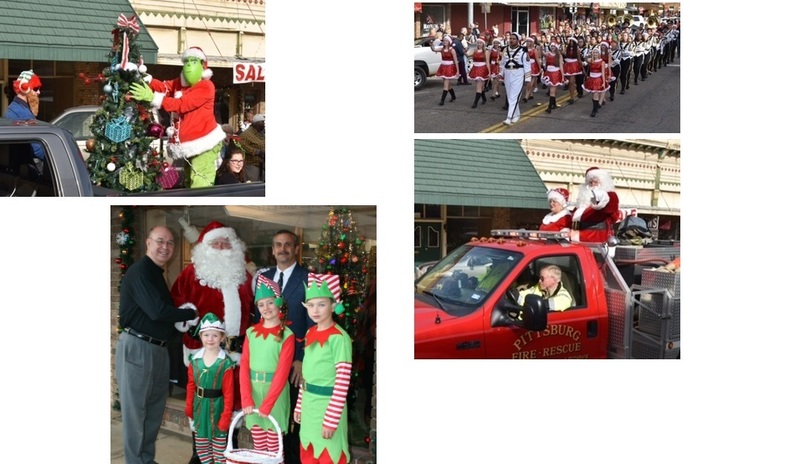 Cypress Bank is the sponsor. The Quebe Sisters are three triple-threat fiddle champions from Texas whose playing and sweet harmonies are blowing audiences away nationwide. The sisters’ past is as colorful and eventful as their future is bright. Growing up in Burleson, they attended their first local fiddle competition in nearby Denton and decided fiddling was what they wanted to do. Since then, they have gone on to share the stage with legends like Willie Nelson, George Strait, Merle Haggard and more. 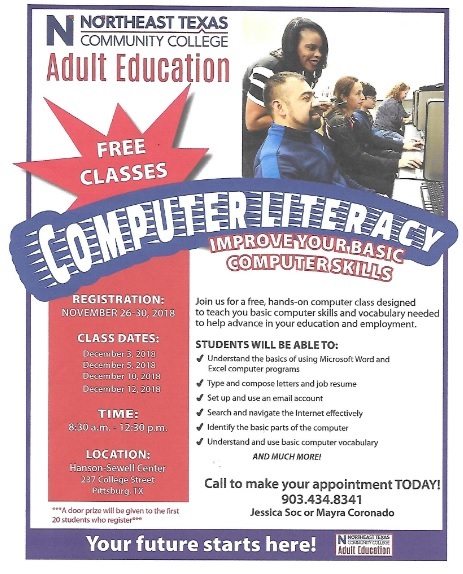 Tickets are $30 for adults and $10 for students. They are available online at whatleycenter.com or by calling the box office at 903-434-8181. 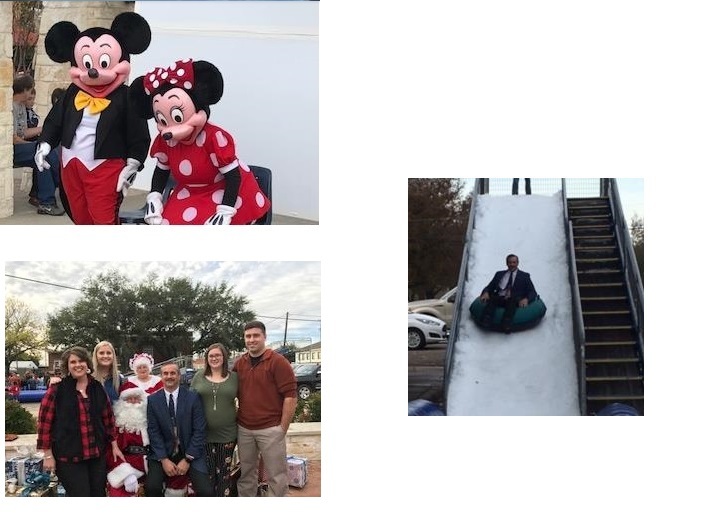 Currently, Camp County Christmas for Kids has 360 angels. You can adopt an angel at Guaranty Bank & Trust, Cypress Bank, Pilgrim Bank, Brookshires, Pizza Inn or Camp County Chiropractic and Rehab. We also have 34 angels that we have just received. They will be on our Facebook page for adoption. 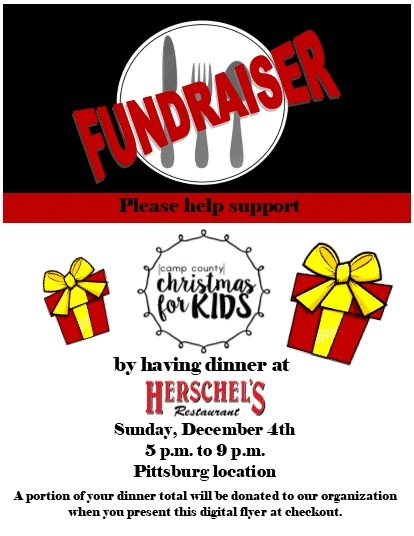 Herschel’s will be having a give back night Dec 4. 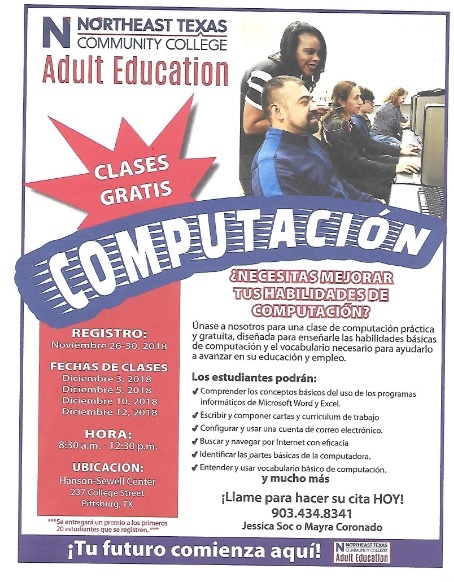 You must present the flyer, and it can be in digital form. 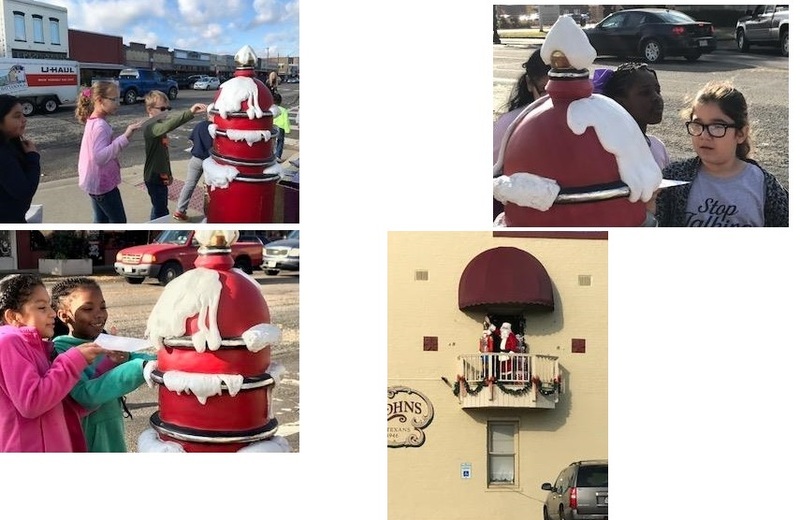 Kelsy Addiline Photography will be doing pictures with Santa on Dec 8 from 1:00 pm until 3:00 pm at Rustville Essentials Soap Shop. 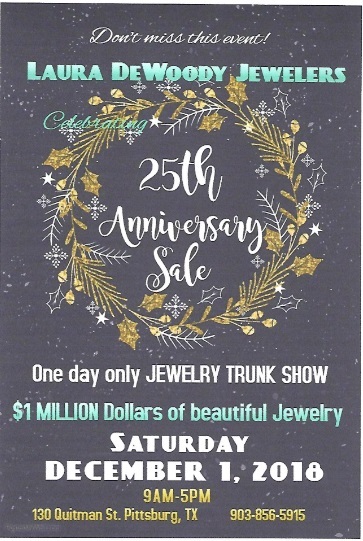 All proceeds donated to Camp County Christmas for Kids. 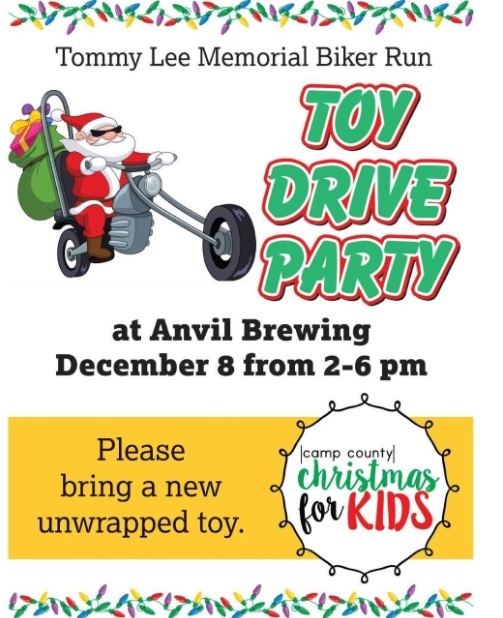 Tommy Lee Biker Run will be hosting a toy drive party on Dec 8th from 2:00 pm until 6:00 pm at Anvil Brewing.